Promotion and Protection of health and life. Self-less service to sick and suffering. Disaster relief to victims of flash floods, cyclonic storms, earth quakes ,accidents, etc. Youth Red Cross unit of Kunthavai Naachiyaar Government College (w),Thanjavur had Mrs.D.MALARVIZHI,Assistant Professor of Economics as the programme officer.All of our college students were members in youth red cross unit of KNGAC.Nearly 300 students were servicing the society as active volunteers. Geneva Convention day was celebrated with a Rally. Celebrated the Road Safety Week. Awareness Programmes on Energy Conservation, Rain water Harvesting were arranged. Organized an awareness programme on traffic rules. AIDs awareness programme was organized. Organized Blood Donation Camp and Blood group identification Camp. Arranged seminar on Child Trafficking. The Youth Red Cross inauguration Programme was held our College on 21.9.2007.Thiru.G.V.Raja Mahendran,Honorary Secretary,IRCS,Thanjavur District inaugurated the programme. Dr.CiciliaPandian, Chairman, IRCS,Thanjavur District, presided over the function. 300 Youth Red Cross volunteers participated in the meeting. Mrs.D.Malarvizhi, Programme officer, Youth Red Cross,KNGAC,Thanjavur, welcomed the gathering .Thiru.G..Raja Mahendran gave a special lecture on Indian Red Cross Society, its objectives, principles and emblem of Red Cross Organization. Selvi.I.Menaga,YRC volunteer,III B.A.Economics,proposed the vote of thanks. Various activities organized by our College YRC Programme officer as follows. G.V.Raja Mahendiran, Honorary Secretary,IRCS,Thanjavur District. Tamilnadu Transport Corporation and Thiru.M.Jaya Kumar, Traffic Inspector. G.V.Raja Mahendran, Honorary Secretary District Red Cross, Thanjavur. Thiru.Kettappa, Trainer, Tamilnadu Transport Corporation. Dr.Natarajan, District Co-coordinator, Indian Red Cross Society, Thanjavur. Thiru.Murugesan,Inspector of Traffic control, Thanjavur. 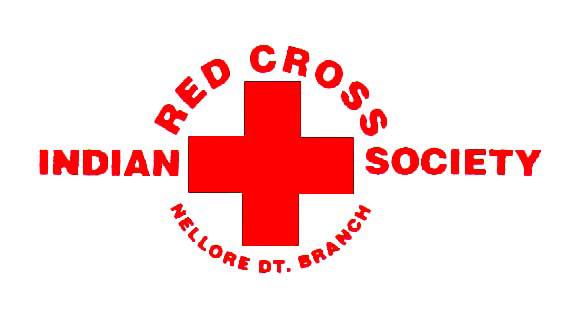 Dr.Natarajan,District Co-ordinator,Indian Red Cross Society,Thanjavur. Thiru.Baskaran,District Collector,&Chairman.Mrs.Savithri Gopal, Municipality, Thanjavur.